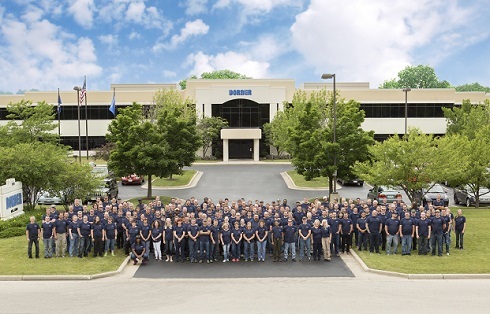 From launching 4 new products to hosting several major industry events and most notably, celebrating our 50th Anniversary, 2016 was truly an unforgettable year at Dorner. We would like to express our appreciation to our valued customers, channel partners, and associates. We sincerely thank you for your business and for growing with us. Most recently we debuted a new, unified brand for the Dorner Holding Portfolio, including new logos and taglines for us as well as our sister companies: FlexMove and Geppert-Band. And while 2016 was amazing, the best is yet to come. We have many more exciting things ahead and we are grateful we can share these experiences with you. The Dorner Holding Company portfolio is focused squarely on transforming the conveyor automation market. Our brand promise is to develop and provide innovative, quality products at industry best lead times, with best in class service and support. We thank you for being a part of our journey and look forward to continued success in 2017 and beyond.